"I have used another chauffeured limousine services for more than eight years. Because they became unreliable on my last two trips I looked for another provider. As I performed a search for local companies I called four of those that presented online. The main reason I initially chose Celebrity was the result of how my phone call was accepted. I spoke with a gentleman that called himself Biz. Not only was Biz professional, there were no gaps or hesitation in his ability to respond to my questions regarding organization, redundancy measures to assure communication and reliability. It was apparent that Biz knew his job and how the company executed its operations. Beyond talk, everything Biz stated took place: email confirmations, receipts, texts of the drivers name and telephone number and other back-ups removed any operational/administrative concerns. Our driver (Antonio) was on time, waiting in the luggage area with a professional printed name plate (not a cribbed magic marker), dressed appropriately (black suit & white shirt), and accommodating. In conversation I discovered that Antonio was professionally credentialed as a licensed commercial driver and that driving for Celebrity was his full time occupation. This fact was easily conveyed by his demeanor and driving. I have used limo services for more than 20 years. Celebrity is beyond any doubt the finest service I have experienced and is now my choice for the future. Sincerely, Tom K"
"Excellent service, great fleet of cars and very professional drivers! I like receiving the "Your driver is on site" e-mail notifications with drivers name and phone number.  Have been using Celebrity for 16 years to transport company and customer VIP's and they have always been reliable and able to meet my transportation needs." "The only car service we use. Have used them for over 15 years"
"Always on time. Drivers are always courteous and thoughtful"
"As I previously said in my June survey, I was very pleased with my day trip to New York with the driver, George Smith. He is the best! I always feel comfortable and in good hands with George at the wheel." "Always satisfied with Celebrity. Clean cars, nice drivers. All very pleasant!" "Far and away the most professional yet personal car service. Always prompt, polite and the cleanest and newest cars." "I use you guys every time. Love the service. I am psyched when the 7 series shows up. " "My driver Jeff M. is one of the nicest people you'll ever meet. I would certainly recommend them as their drivers are on time, very professional, and really wonderful people." "I have traveled with Celebrity for more than 15 years and I've never once been disappointed. The drivers have consistently been prompt, courteous and helpful. Their fleet of cars is meticulous! There is truly no reason to look elsewhere." "Simply the best! From making the reservation, to being dropped off at my destination, the experience was terrific." "Alisa and team were fabulous. Professional, courteous, and flexible. During a long weekend of getting guests (many elderly) to and from the airport, suburbs, and downtown Philly wedding, they handled flight delays, last minute hotel location changes and a stressed out mother of the bride with no problems. Communication was great and key to the success. Highly recommended!" "In the years since I began traveling, I tried several companies. When my driver never showed up on one of those trips, a Celebrity Driver who was waiting to pick up his passenger saw my dilemma and quietly told me to try Celebrity. We never looked back after that. The drivers are respectful, very pleasant and very helpful. I have experienced many Celebrity drivers over the years and have not been disappointed. It is a wonderful company and I tell others to use Celebrity also. You can't go wrong!" "I would like to note that your driver, David Moyer, provided excellent service today. Not only did he facilitate great conversation and drive very smoothly, but he also provided me with great advice for the length of my stay here. I am unaware if your company does "Driver of the Month" but if it does, he should definitely receive that title for the month of January. Thank you for your help!" "We were last minute (another Limo company cancelled on us) so thank you for your last minute assistance!" "The chauffeur was great – the car was very clean on the inside and out. We enjoyed our evening!" "We enjoyed your professionalism and willingness to meet all of our needs!" "Best part of going on vacation is letting Celebrity drive me to the airport!" "It was great, as usual!" "I use your service every time I fly into Philly, Your greeting service is great!" "It's the only way to travel! The driver was excellent! Can't wait to go to Philly again!" "It was a very memorable experience. We will definitely recommend your service to all! Thank you"
"Your reservation staff has to be the most courteous and helpful professionals I have ever dealt with!"